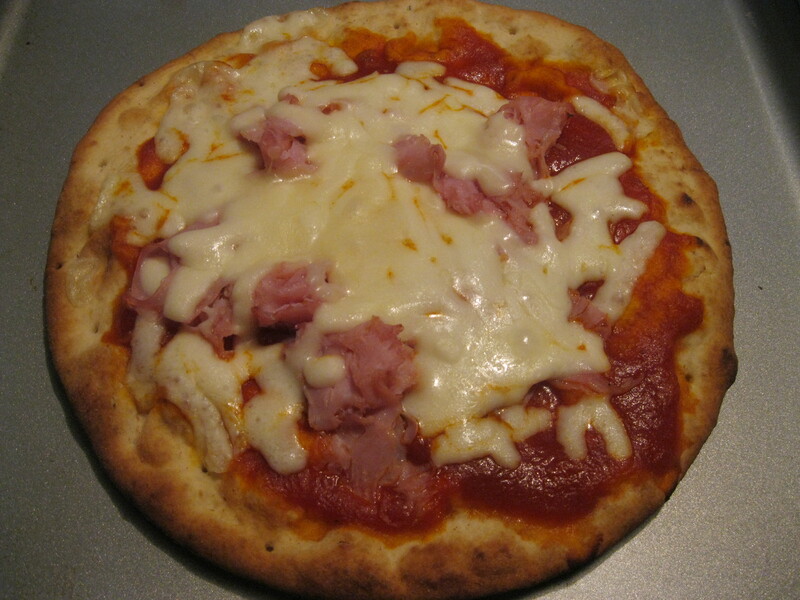 Ham and Cheese Pita Pizza | Cooking With Mr. C.
1. Put pita breads in oven for 5 minutes and remove. 2. Put sauce on top of each pita. 3. Put chopped ham on each pita. Sprinkle with a little parmesan cheese. 4. Put shredded mozzarella on each pita. 5. Return to oven for about 5 minutes. *Pita should be a little crispy and mozzarella should be melted.